In a Nutshell: Investors can be their own worst enemy. The impediments of fear and overthinking can turn a successful portfolio into a flat one. To help remove the second-guessing from investing, Betterment created a robo-investing platform that uses Modern Portfolio Theory to minimize risk and maximize returns. Betterment claims its approach to investing enables better investor behaviors, such as patience and discipline across all accounts, that help its customers earn 2.66% more than a typical investor each year. 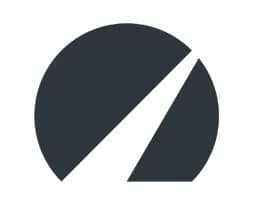 Betterment users can create multiple portfolios for different savings goals, and each account factors how much money is needed, the risk tolerance, and the time horizon into its holdings. It costs nothing to create an account and as little as 0.25% annually for total portfolio management. Every fisherman and investor has a story about the one that got away. For investors, it’s typically a stock they purchased low and sold just before a meteoric rise in value. I won’t bore you with my stories. Just know that if I had more patience and foresight, I’d likely be sitting on a beach somewhere soaking up the sun’s rays without a care in the world. Discipline makes investing hard. Far too often, we as investors overthink our holdings or become spooked by a sudden portfolio dip. That’s why, to borrow an old movie adage, every time someone pushes the sell button, a robo-investor gets its wings. Robo-investors have the discipline and knowledge most investors lack. Each automated portfolio manager uses intricate algorithms to balance a portfolio based on trends, time horizons, and the portfolio owner’s risk tolerance. “The biggest selling point and the thing that really makes it click with customers is the goals-based investing. You can open a different account for each of your goals. Each has its own time horizon, as well as their own risk level and savings amount. This helps because you’re most likely saving for multiple things at once,” he explained. Betterment users typically create separate accounts to save for an emergency fund, retirement, a new home purchase, or to pay for child’s future college expenses. The company places no restrictions on what a member can save for and optimizes each account to meet the needs of the individual savings plan. Betterment claims its approach to investing enables better investor behaviors and can help members earn 2.66% more than a typical investor each year. Holeman said the earnings increase isn’t magic, but rather a disciplined approach to portfolio management. Betterment members receive unlimited advice and account access, as well as a transparent fee structure that charges 0.25% annually for Digital accounts and 0.40% for Premium members. Nick Holeman, Senior Financial Planner at Betterment. The financial planning team, which Holeman manages, can help Premium members use Betterment’s tools, determine which tax features are right for them, factor in proper risk levels, and help supplement what isn’t yet featured in the app. Holeman said the team can additionally help its customers with personal finance topics outside of investing, like insurance and Social Security matters, to assist with all financial aspects important to its customers. New Betterment customers can instantly begin creating a custom savings plan to maximize savings and minimize the time needed to reach the finish line. You start by telling the app what you’re saving for, how much you’ll need, and how long you have to save for the goal. Betterment will then set up and manage your portfolio based on your time horizon and risk tolerance using the Nobel Prize-winning Modern Portfolio Theory. If you have a “One that got away” story, then chances are you have a better understanding of why patience and discipline are important in investing. That doesn’t mean that exhibiting said behaviors is any easier. Betterment uses tools designed by behavioral psychologists that minimize the feeling you get when you see an investment dip into the red. Holeman said that Betterment’s tools help its customers have a lower behavior gap than its competitors, which leads to better long-term returns. Betterment also works to subtly nudge investors who may be reacting irrationally to a sudden dip by showing the effects of what an early sell can have on a portfolio. That second thought is often enough to stop investors from making a move that may end up in a tale of woe down the road. While Betterment is proving itself as a superior platform for building savings for short- and long-term goals, it’s still smart to maintain other investment accounts that may have greater tax advantages or employer matching. Betterment’s platform even goes so far as to analyze the non-managed account to optimize it for the best possible returns. “Our system can look at the specifics of that synced account and let you know if you’re paying really high fees or if your risk levels aren’t balanced correctly,” Holeman said. By using Modern Portfolio Theory, Betterment helps its investors diversify their holdings and hedge against dips within certain asset classes. It also helps keep portfolios steady during turbulent financial times. Betterment uses the mathematical theory to build portfolios with all different risk levels, and then uses advanced forecasts to calculate just how aggressive or conservative you should be, and how to adjust that over time. 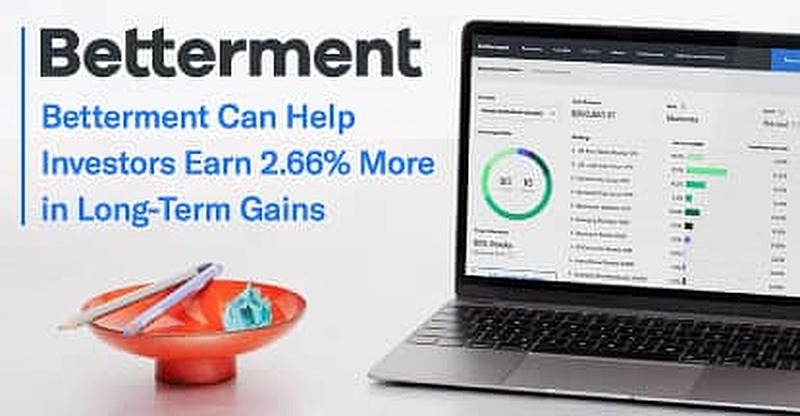 By taking on less risk for the same amount of expected return, Betterment users can watch their savings steadily grow and their goals become reality instead of fodder for another story on the investment opportunity that got away.